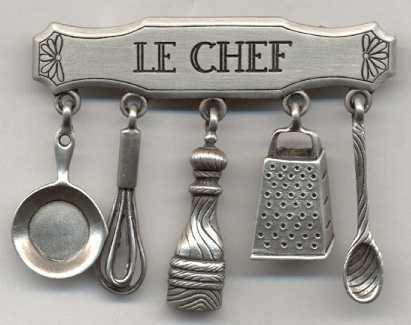 including a sauté pan, whisk, pepper mill, grater and the requisite wooden spoon. Measures 2 3/8" wide and 2 " high. 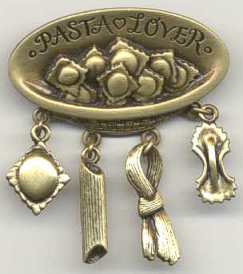 A hearty bowl of ravioli, with dangling charms of ravioli, penne, linguini and farfalle pasta. Measures 2" wide and 2 1/4" high. 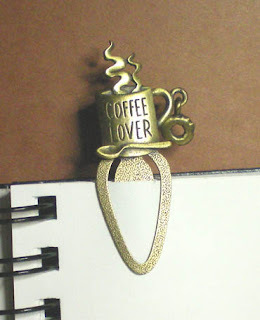 with a donut dangling from the handle as a charm. Measures 2 1/4" high and 1 " wide. Measures 2 1/4" high and 1 1/2" wide.